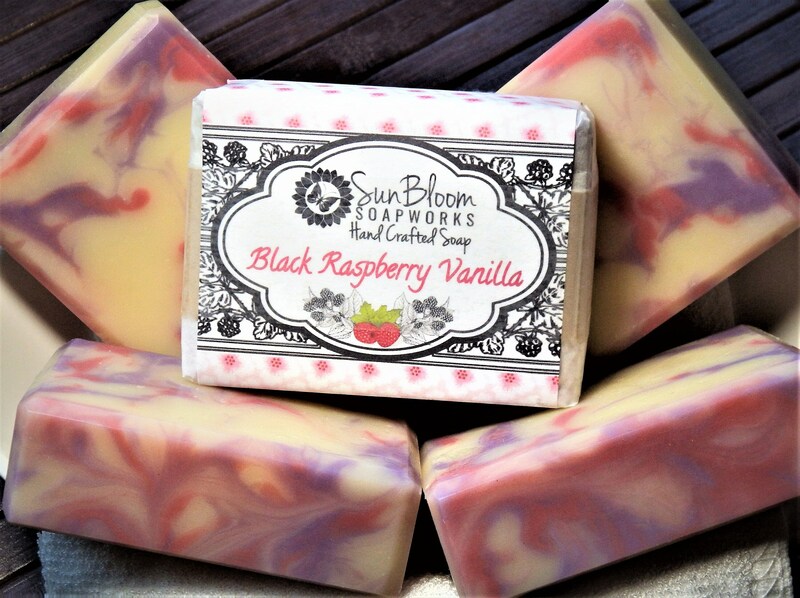 "Black Raspberry Vanilla" is a delicious and silky fragrance! Raspberries and blackberries are strongly present with a back note of rich vanilla, and a soft undertone of citrus, plum and pear. A+++ in every regard!!! Quality soaps prepared with care and love. Excellent customer service and the scents are exquisite! I always look forward to reordering from Sun Bloom Soap Works! Thank you, Angelina!!! This combination smells so heavenly!